This article will contain a history of the Cherokee Nation, as well as some words and pictures in this, our modern time. The history is done by Leo Sultzman, and most noteworthy job he has done! The site his work appears on has many of this Native American Histories and is absolutely well-worth visiting; and if you have an interest in Native American History, a must! Equally a "must see" is Ken Martin’s http://www.cherokeehistory.com/ Mr. Martin did the text appendages on many of the photos in this article; and he has extensive text history on the site as well. In front of the museum are the three pillars from the female seminary (high school) that burned to the ground in the 1880's. This is all that is left of this important educational landmark. 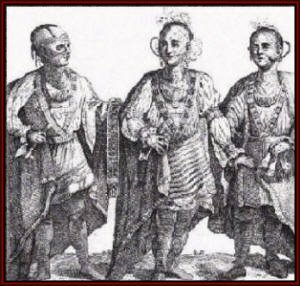 Three of seven young Cherokees, who were escorted by Sir Alexander Cuming to England in 1730 to meet King George II. The Cherokees signed articles of friendship and commerce with representatives of the British Crown. One of the Cherokees was Oukanaekah, later named Attakullaculla or the Little Carpenter. The Vann House at Springplace GA was built by James Vann and inherited by his son Joseph "Rich Joe" Vann. In 1833, his mansion was confiscated by Col. William Bishop of the Georgia Guard (militia) and the neighboring Moravian mission school was turned into Georgia Guard headquarters. At the time of removal, Rich Joe's property valuation showed him as the second richest man in the Nation. [Note: This is a single part of what will be, by my classification, about 240 compact tribal histories (contact to 1900). It is limited to the lower 48 states of the U.S. but also includes those First Nations from Canada and Mexico that had important roles (Huron, Micmac, Assiniboine, etc.). Although this Cherokee history is larger than most, it's content and style are representative. The normal process at this point is to circulate an almost finished product among a peer group for comment and criticism. Using the Internet, this can be more inclusive. Feel free to comment or suggest corrections via e-mail. Working together we can end some of the historical misinformation about Native Americans. You will find the ego at this end is standard size. Kah-nung-da-tla-geh, "the man who walks the mountain top", was know as "The Ridge" and later Major Ridge, for his participation in the Creek War 1813-1814. He was the leader of the Ridge or Treaty Party. His brother, Oo-wa-tie, "the ancient one", was the father of Stand Watie. He served as head of the Lighthorse Guard (i.e., Cherokee police), member of the National Committee, and speaker of the National Council. The valuation of his property at the time of the removal west showed him to be the third richest man in the Cherokee Nation. He was assasinated in 1839 for signing the Treaty of New Echota for removal of the Cherokees to the West. The southern Appalachian Mountains: including western North and South Carolina, northern Georgia and Alabama, southwest Virginia, and the Cumberland Basin of Tennessee, Kentucky, and northern Alabama. Distributed across the United States, but concentrated in eastern Oklahoma. The eastern Cherokee still maintain their reservation in western North Carolina. 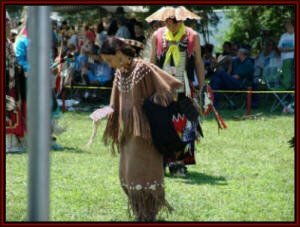 The Northern Cherokee Nation of the Old Louisiana Territory has almost 12,000 members and has been recognized by the State of Missouri. Other groups of Cherokee, like the 2,500 members of the North Alabama Cherokee, are located in Arkansas, Georgia, and Alabama but currently do not have federal recognition. European epidemics introduced into the southeastern United States in 1540 by the Desoto expedition are estimated to have killed at least 75% of the original native population. How much the Cherokee suffered from this disaster is unknown, but their population in 1674 was about 50,000. A series of smallpox epidemics (1729, 1738, and 1753) cut this in half, and it remained fairly stable at about 25,000 until their removal to Oklahoma during the 1830s. The American Civil War was the next disaster and cost the Cherokee 25% of their population. No other group of Americans, red or white, suffered as severely during this conflict. The 1990 census listed 308,132 persons (15,000 full-blood) who identified themselves as Cherokee. Of these, 95,435 were concentrated in eastern Oklahoma while 10,114 Eastern Cherokee lived on or near the North Carolina reservation. Cherokee tribal governments have fairly liberal membership standards, and some estimates exceed 370,000, which would make the Cherokee the largest Native American group in the United States. The most familiar name, Cherokee, comes from a Creek word "Chelokee" meaning "people of a different speech." In their own language the Cherokee originally called themselves the Aniyunwiya (or Anniyaya) "principal people" or the Keetoowah (or Anikituaghi, Anikituhwagi) "people of Kituhwa." Although they usually accept being called Cherokee, many prefer Tsalagi from their own name for the Cherokee Nation (Tsalagihi Ayili). Iroquian, but Cherokee differs significantly from other Iroquian languages. The Cherokee have been divided into three divisions depending on location and dialect (east to west): Lower, Middle, and Over-the-Hill. Other distinct Bands were: Atali, Chickamauga, Etali, Onnontiogg, and Qualia. 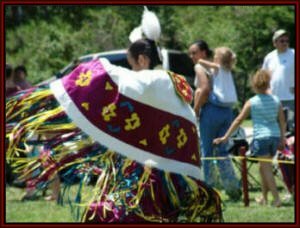 Three Cherokee Groups are currently Federally recognized: Cherokee Nation of Oklahoma, United Keetoowah Band of Cherokee Indians (Oklahoma), and the Eastern Band of Cherokee Indians (North Carolina). The Echota Cherokee are recognized only by the state of Alabama. The number following a particular name indicates more than one of the same name. LOWER SETTLEMENTS: Echota, Estatoee (2), Keowee (2), Kulsetsiyi (or Sugartown) (3), Oconee, Qualatchee (2), Tomassee (2), Toxaway, Tugaloo, Ustanali (6). MIDDLE SETTLEMENTS: Cowee, Coweeshee, Ellijay (4), Itseyi (3), Jore, Kituhwa, Nanyahala, Nucassee, Stikayi (3), Tawsee, Tekanitli, Tessuntee, Tikaleyasuni, Watauga (2), Yunsawi. OVERHILL SETTLEMENTS: Chatuga (3), Chilhowee, Cotocanahut, Echota (5), Hiwassee (2), Natuhli, Nayuhi (4), Sitiku, Tahlasi, Tallulah (2), Tamahli (2), Tellico (4), Tennessee (2), Toquo, Tsiyahi (3), Ustanali. According to some accounts, before the coming of the Europeans, the Cherokee were forced to migrate to the southern Appalachians from the northwest after a defeat at the hands of the Iroquois and Delaware. Some Delaware traditions also support this, but the Iroquois have no memories of such a conflict. 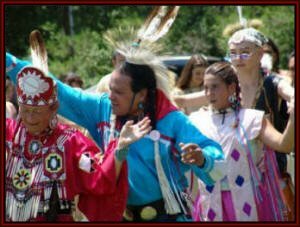 While there is probably some historical basis, it is difficult to imagine a tribe as large and powerful as the Cherokee being forced to move anywhere, although they may have lost some territory in the north to the Susquehannock, Erie, or Delaware. Considering their language differences with other Iroquian groups, the Cherokee probably have been a distinct group for a considerable period. It seems more reasonable to assume that the Cherokee had occupied their mountain homeland for a long time before the arrival of the Europeans. At the time of contact, the Cherokee were a settled, agricultural people living in approximately 200 fairly, large villages. The typical Cherokee town consisted of 30 to 60 houses and a large council house. Homes were usually wattle and daub, a circular framework interwoven with branches (like an upside-down basket) and plastered with mud. The entire structure was partially sunken into ground. In later periods, log cabins (one door with smokehole in the bark-covered roof) became the general rule. The large council houses were frequently located on mounds from the earlier Mississippian culture, although the Cherokee themselves did not build mounds during the historic period. 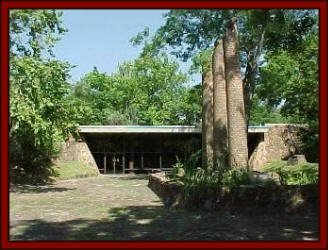 Used for councils, general meetings, and religious ceremonies, the council houses were also the site of the sacred fire, which the Cherokee had kept burning from time immemorial. Like other Iroquian peoples, kinship and membership in seven matrilineal clans were determined through the mother, although the women's role never achieved the importance that it enjoyed among the Iroquois League in New York. 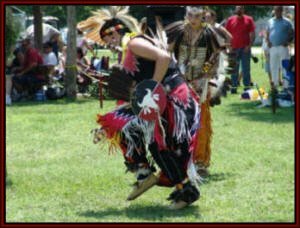 In most ways, the Cherokee more closely resembled the Creek and other Southeastern tribes, including the celebration of the Busk, or Green Corn festival. Agriculture relied heavily on the "three sisters" (corn, beans, and squash), supplemented by hunting and the gathering of wild plants. Cherokee villages were largely independent in daily matters, with the whole tribe only coming together for ceremonies or times of war. Leadership was divided according the circumstances: "red" chiefs during war and "white" chiefs in times of peace. The Cherokee were the only Iroquian-speaking member of the five Civilized Tribes of the southeast United States. Although it is difficult to ascertain what privilege in treatment they received for being classified as "civilized", their achievements were remarkable and accomplished almost entirely through their own efforts. During the early 1800s, the Cherokee adopted their government to a written constitution. They established their own courts and schools, and achieved a standard of living that was the envy of their white neighbors. Particularily noteworthy was the invention of written language by Sequoyah (George Gist) in 1821. Utilizing an Ingenious Alphabet of 86 Characters, almost the entire Cherokee Nation became literate within a few years. A Cherokee newspaper, the Phoenix, began publication in the native language in February, 1828. Prominent Cherokees are too numerous to list but include Senator Robert Owen and Will Rogers. Despite all they have endured, the Cherokee level of education and living standard ranks among the highest of all Native American tribes. The Desoto expedition is believed to have made the first European contact in 1540 when they met the "Chalaque" on the Tennessee River. Although Pardo revisited the area in 1566 and the Spanish maintained a small mining and smelting operation in the area until 1690, the Cherokee's location in the interior mountains kept them relatively isolated until after the settlement of Virginia in 1609. By 1629 English traders had worked their way west into the Appalachians and met the Cherokee. Contact became continuous with the founding of the Carolina colonies. Virginian Abraham Wood tried unsuccessfully to maintain his trade monopoly with the Cherokee and sent two men, James Needham and Gabriel Arthur, to the Cherokee Overhill capital at Echota in 1673, but the following year a group of Cherokee met with rival Carolina traders along the upper Savannah River. A treaty with South Carolina followed in 1684 beginning a steady trade in deerskins and Indian slaves. Although contact was limited initially to white traders, important changes began to occur within the Cherokee as a result. Leadership shifted from priest to warrior, and warriors became hunters for profit. Increasing dependence on trade goods also drew the Cherokee to the British as allies in their wars against the French and Spanish between 1689 and 1763. Cherokee relations with their neighbors were not always friendly before contact. They raided Spanish settlements in Florida during 1673 and fought the coastal tribes of the Carolinas, but European trade and competition aggravated these rivalries and destabilized the region. By 1680 most of the tribes had gotten their first firearms, and the Cherokee had fortified their larger villages. Constant fighting with the Catawba erupted in the east followed by a growing friction with the Creek and Choctaw to the south. To the west there was a traditional hostility with the Chickasaw (also a British ally). To the north, the struggle between the French, Dutch, and English in the fur trade started the Beaver Wars and a period of conquest by the Iroquois League which spread across the Great Lakes and the Ohio Valley. In 1660 large groups of Shawnee were driven south by the Iroquois. The Cherokee allowed one group to settle in South Carolina and serve as a buffer between them and the Catawba. Other Shawnee were permitted to locate in the Cumberland Basin of Tennessee for a similar purpose against the Chickasaw. This self-serving hospitality was to earn the Cherokee nothing but grief. The Iroquois never forgot an enemy, and the Shawnee presence brought them south in raids against both the Shawnee and the Cherokee. Meanwhile, the Shawnee were becoming dangerous. In 1692 a Shawnee raid to capture slaves for trade with the English destroyed a major Cherokee village while its warriors were absent on a winter hunt. While both tribes still had common enemies (Iroquois, Catawba, and Chickasaw), this treachery destroyed any trust or friendship that had existed between the Cherokee and Shawnee. The following year a Cherokee delegation visited Charlestown demanding more firearms to fight their enemies. The situation had become so dangerous by 1705 that North Carolina was urging South Carolina to curtail the trade in Native American slaves or face a massive uprising. Actually, warfare between allies and trading partners did not serve British interests, so they encouraged the peace that was finally arranged between the Cherokee and Iroquois in 1706. This respite allowed Cherokee warriors in 1708 to join the Catawba and Alibamu in an attack against the Mobile in southern Mississippi who were serving as middlemen for the new French trading posts in the region. 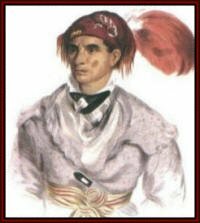 Three hundred Cherokee warriors also served with the South Carolina army of Colonel James Moore against the Tuscarora in 1713, although some of the Lower Cherokee joined the Yamasee during the general uprising against the Carolinas in 1715. Peaceful relations resumed afterwards, and the Cherokee received a large quantity of guns and ammunition in exchange for their allegiance. However, the peace with the Iroquois collapsed when the League attempted to dominate the Cherokee through the Covenant Chain(See Iroquois). When the Cherokee refused to comply with Iroquois demands, the raiding resumed. Never forgetting the treachery of the Shawnee treachery in 1692, the Cherokee decided to rid themselves of their now-unwelcome guests. To do this, they allied with the Chickasaw (enemies with similar feelings about the Shawnee) to inflict a major defeat in 1715 on the Shawnee of the Cumberland Basin. The Chickasaw alliance and war with the Shawnee brought the Cherokee to the attention of the French and their Algonquin allies north of the Ohio River. The result was a steady stream of war parties directed south against them. The Cherokee were in the dubious position of fighting the pro-British Iroquois and the pro-French Algonquin at the same time, but they held their own, despite devastating smallpox epidemics in 1738 and 1753 which killed almost half of them. The epidemics were also devastating to the Cherokee priests who, unable to cure the disease, lost most of their remaining influence. A second Chickasaw alliance in 1745 forced the remaining Shawnee north across the Ohio River and then succeeded in defeating the French-allied Choctaw in 1750. Meanwhile, a treaty, signed in 1721 and thought to be the first land cession by the Cherokee, regulated trade and established a boundary between the Cherokee and the British settlements. Despite this agreement, settlement from the Carolinas was rapidly invading the lands of the Lower Cherokee east of the Appalachians and tempting the Cherokee to switch their loyalty to the French. This option had become available to them after the French made peace with the Alibamu and built a trading post at Fort Toulouse near Montgomery, Alabama in 1717. French traders were also reaching the Overhill Cherokee by following the Cumberland River from its mouth near the Ohio. The Chickasaw, however, still made travel on the Tennessee River by the French far too dangerous. All of this trade could easily have tied the Cherokee to the French if they had been able to compete with the British, but they could not. French goods were generally inferior and more expensive, and the British had the naval power to blockade Canada in times of war (King George's War 1744-48) and halt the supply. More important, the British valued their alliance with the Cherokee and worked hard to maintain it. Colonel George Chicken was sent by the British government in 1725 to regulate Cherokee trade and prevent the possibility of their turning to the French. He was followed by Sir Alexander Cuming who visited the major Cherokee towns and convinced them to select a single chief to represent them with the British. Cuming even escorted a Cherokee delegation to England for an audience with George II. In the treaty signed at Charleston in 1743, the Cherokee not only made peace with the Catawba, but promised to trade only with the British. Two years later, the Cherokee also concluded a peace with the Wyandot (an important French ally north of the Ohio), only to learn that the Wyandot and other French tribes were secretly plotting to break free from the French trade monopoly. At this point, the Cherokee apparently decided the French would not be an improvement over the British. While the French were permitted to build a trading post in their homeland, this was a close as the Cherokee ever came to changing sides. However, the British still had serious doubts about Cherokee loyalty. Pressed to acquire new land to compensate for their growing loses to white settlement, the Cherokee and Creek were almost forced into a war with each other (1752-55). At stake was control of a hunting territory in northern Georgia which the two tribes had formerly shared. After the decisive battle at Taliwa (1755), the Cherokee emerged as the winner, and this new territory probably allowed them to support the British at the outbreak of the French and Indian War (1755-63). Although the Cherokee signed a treaty in 1754 confirming their alliance and allowing the construction of British forts in their territory to defend the colonies, the lingering suspicion remained they were sympathetic to the French. Incidents between Cherokee and white settlers during 1758 were hastily covered over by another treaty, but the cooperation collapsed in 1759. Almost 100 Cherokee accompanying a Virginia expedition against the Ohio Shawnee lost their provisions while crossing a river and were abandoned by their white "allies." Angry at this treatment, the Cherokee helped themselves to some of the Virginians' horses and were attacked. After killing more than twenty Cherokee, the Virginians scalped and mutilated the bodies. They later collected a bounty for the scalps. While their chiefs rushed to arrange restitution to "cover the dead," outraged Cherokee warriors launched a series of retaliatory raids against outlying settlements. Blaming French intrigue rather than Virginia treachery, Governor Littleton of South Carolina raised an 1,100 man army and marched on the lower Cherokee settlements. Stunned to discover the British were attacking them, the lower Cherokee chiefs quickly agreed to peace. Two warriors accused of murder were handed over for execution, and 29 chiefs were surrendered as hostages at Fort Prince George on British suspicions of their hostile intentions. Satisfied with these arrangements, Littleton left, but the Cherokee were furious. His army had barely reached Charleston when the Cherokee War (1760-62) exploded with full fury. Settlers were massacred at Long Canes, and a militia unit was mauled near Broad River. In February of 1760, the Cherokee attacked Fort Prince George in attempt to free the hostages, killing the fort's commander from ambush. The fort's new commander promptly executed the hostages and fought off the assault Fort 96 also withstood an attack, but lesser outposts were not so fortunate, and the war quickly expanded beyond Littleton's resources. He appealed for help from Lord Jeffrey Amherst, the British commander in North America (who despised Indians, friend or foe). With the French defeated, the entire British army in North America was available for use against the Cherokee. In May Amherst sent 1,200 Highlanders and Royals under Colonel Montgomery to the area. Montgomery's approach to Indian warfare: no male prisoners, but spare women and small children. The war did not go well for the British. After burning several abandoned lower Cherokee towns, Montgomery met with ambush and defeat when he attempted to push deeper into Cherokee territory. After a long siege, Fort Loudon in eastern Tennessee fell during August, and the garrison was massacred. In early 1761, the incompetent Montgomery was replaced by Colonel James Grant. Ignoring Cherokee attempts to make peace, Grant enlisted the help of Catawba scouts in June, and soon afterwards his 2,600 man army captured 15 middle Cherokee towns and destroyed the food the Cherokee needed for the coming winter. Faced with starvation if the war continued, the Cherokee signed a treaty with the South Carolina in September that ceded most of their eastern lands in the Carolinas. A second treaty was signed with Virginia in November. The Cherokee maintained their part of the agreement and did not participate in the Pontiac uprising (1763) but did suffer another smallpox epidemic that year. They still benefited somewhat when the rebellion forced the stunned British government to temporarily halt all new settlement west of the Appalachians. Within a few years, colonial demands forced the British to reverse this policy, and begin negotiations with the Iroquois. Land cessions by the Iroquois at the Fort Stanwix (1768) opened large sections west of the Appalachians to settlement. Their generosity also included land in West Virginia, eastern Tennessee and Kentucky claimed by the Cherokee, and this forced the British to negotiate new boundaries with the Cherokee at the Treaty of Hard Labor (1768). As white settlers poured across the mountains, the Cherokee tried once again to compensate themselves with territory taken by war with a neighboring tribe. This time their intended victim was the Chickasaw, but this was a mistake. Anyone who tried to take something from the Chickasaw regretted it, if he survived. After eleven years of sporadic warfare ended with a major defeat at Chickasaw Oldfields (1769), the Cherokee gave up and began to explore the possibility of new alliances to resist the whites. Both the Cherokee and Creek attended the 1770 and 1771 meetings with the Ohio tribes at Sciota but did not participate in Lord Dunnmore's War (1773-74) because the disputed territory was not theirs. On the eve of the American Revolution, the British government scrambled to appease the colonists and negotiate treaties with the Cherokee ceding land already taken from them by white settlers. To this end, all means, including outright bribery and extortion, were employed: Lochaber Treaty (1770); and the Augusta Treaty (1773) ceding 2 million acres in Georgia to pay for debts to white traders. For the same reasons as the Iroquois cession of Ohio in 1768, the Cherokee tried to protect their homeland from white settlement by selling land they did not really control. In the Watonga Treaty (1774) and the Overhill Cherokee Treaty (Sycamore Shoals) (1775), they sold all of eastern and central Kentucky to the Transylvania Land Company (Henderson Purchase). Despite the fact that these agreements were a clear violation of existing British law, they were used later to justify the American takeover of the region. The Shawnee also claimed these lands but, of course, were never consulted. With the Iroquois selling the Shawnee lands north of the Ohio, and the Cherokee selling the Shawnee lands south, where could they go? Not surprisingly, the Shawnee stayed and fought the Americans for 40 years. Both the Cherokee and Iroquois were fully aware of the problem they were creating. 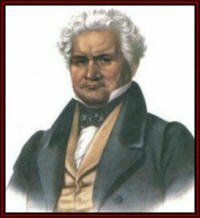 After he had signed, a Cherokee chief reputedly took Daniel Boone aside to say, "We have sold you much fine land, but I am afraid you will have trouble if you try to live there." Not all of the Cherokee honored these agreements. Cui Canacina (Dragging Canoe) and the Chickamauga refused and kept raiding the new settlements. At the outbreak of the Revolution, the Cherokee received requests from the Mohawk, Shawnee, and Ottawa to join them against the Americans, but the majority of the Cherokee decided to remain neutral in the white man's war. The Chickamauga, however, were at war with the Americans and formed an alliance with the Shawnee. Both tribes had the support of British Indian agents who were still living among them (often with native wives) and arranging trade. During 1775 the British began to supply large amounts of guns and ammunition and offer bounties for American scalps. In July, 1776, 700 Chickamauga attacked two American forts in North Carolina: Eaton's Station and Ft. Watauga. Both assaults failed, but the raids set off a series of attacks by other Cherokee and the Upper Creek on frontier settlements in Tennessee and Alabama. The frontier militia organized in response made little effort to distinguish between hostile and neutral Cherokee, except to notice that neutrals were easier to find. During September the Americans destroyed more than 36 Cherokee towns killing every man, woman and child they could find. Unable to resist, the Cherokee in 1777 asked for peace. The Treaties of DeWitt's Corner (May) and Long Island (or Holston) (July) were signed at gunpoint and forced the Cherokee to cede almost all of their remaining land in the Carolinas. Although this brought peace for two years, the Chickamauga remained hostile and renewed their attacks against western settlements in Tennessee, Alabama, and Kentucky during 1780. After more fighting, the second Treaty of Long Island of Holston (July 1781) confirmed the 1777 cessions and then took more Cherokee land. Through all of this, the Chickamauga fought on but were forced to retreat slowly northward, until by 1790 they had joined forces with the Shawnee in Ohio. After the initial Indian victories of Little Turtle's War (1790-94), most of the Ohio Chickamauga returned south and settled near the Tennessee River in central Tennessee and northern Alabama. From here, they had the unofficial encouragement of the Spanish governments of Florida and Louisiana and began to attack nearby American settlements. One of these incidents almost killed a young Nashville attorney/land speculator named Andrew Jackson, which may explain his later attitude regarding the Cherokee. Dragging Canoe died in 1792, but a new round of violence exploded that year with the American settlements in central Tennessee and northern Alabama. After two years of fighting with Tennessee militia, support from other Cherokee declined, and the Chickamauga's resolve began to weaken. Following the American victory at Fallen Timbers (1794), the last groups of the Ohio Chickamauga returned to Tennessee. Meanwhile, the Spanish government had decided to settle its border disputes with the United States by diplomatic means and ended its covert aid to the Cherokee. After a final battle near Muscle Shoals in Alabama, the Chickamauga realized it was impossible stop the Americans by themselves. By 1794 large groups of Chickamauga had started to cross the Mississippi and settle with the Western Cherokee in Spanish Arkansas. The migration was complete by 1799, and open warfare between the Cherokee and Americans ended. The Keetoowah (Western Cherokee or Old Settlers) had their origin with a small group of pro-French Cherokee which relocated to northern Arkansas and southeastern Missouri after the French defeat by the British in 1763. The Spanish welcomed them and granted land. Towards the end of the American Revolution in 1782, they were joined a group of pro-British Cherokee. With the migration of the Chickamauga (1794-99), the Keetoowah became formidable and a threat to the Osage who originally claimed the territory. Cherokee and Osage warfare was fairly common in 1803 when the United States gained control of the area through the Louisiana Purchase. With continued migration, the Western Cherokee steadily gained at the expense of the Osage, and by 1808 over 2,000 Cherokee were established in northern Arkansas. The Turkey Town treaty (1817) was the first formal recognition of the Western Cherokee by the United States. Under its terms, 4,000 Cherokee ceded their lands in Tennessee in exchange for a reservation with the Western Cherokee in northwest Arkansas. With this new immigration during 1818-19, the number of Western Cherokee swelled to over 6,000. However, the Osage continued to object to the Cherokee presence, and the Americans were forced to build Fort Smith (1817) and Fort Gibson (1824) to maintain peace. White settlers of the Arkansas territory were soon demanding the removal of both the Cherokee and Osage. In 1828 the Western Cherokee agreed to exchange their Arkansas lands for a new location in Oklahoma. The boundaries were finally determined in 1833, although it took until 1835 to get the Osage to agree. Meanwhile, the Cherokee homeland in the east was rapidly being whittled away by American settlement reflected by a series of treaties: Hopewell 1785; Holston 1791; Philadelphia 1794; Tellico 1798, 1804, 1805, and 1806. The final cession of ten million acres in 1806 by Doublehead (Chuquilatague) outraged many of the Cherokee and resulted in his assassination as a traitor by the faction led by Major Ridge (Kahnungdatlageh -"the man who walks the mountain top"). 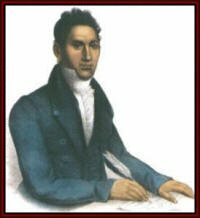 A new, mixed-blood leadership of Ridge and John Ross (Guwisguwi - blue eyes and 1/8 Cherokee) seized control determined not to yield any more of the Cherokee homeland while introducing major cultural changes. With a unity made possible by the departure of the more traditional Cherokee to Arkansas, in less than 30 years the Cherokee underwent the most remarkable adaptation to white culture of any Native American people. By 1817 the clan system of government had been replaced by an elected tribal council. A new capital was established at New Echota in 1825, and a written constitution modeled after that of the United States was added two years later. Many Cherokee became prosperous farmers with comfortable houses, beautiful cultivated fields, and large herds of livestock. Christian missionaries arrived by invitation, and Sequoia invented an alphabet that gave them a written language and overnight made most of the Cherokee literate. They published a newspaper, established a court system, and built schools. An inventory of Cherokee property in 1826 revealed: 1,560 black slaves. 22,000 cattle, 7,600 horses, 46,000 swine, 2,500 sheep, 762 looms, 2,488 spinning wheels, 172 wagons, 2,942 plows, 10 sawmills, 31 grist mills, 62 blacksmith shops, 8 cotton machines, 18 schools, and 18 ferries. Although the poor Cherokee still lived in simple log cabins, Chief John Ross had a $10,000 house designed by a Philadelphia architect. In fact, many Cherokee were more prosperous and 'civilized' than their increasingly envious white neighbors. Although the leadership of the eastern Cherokee steadfastly maintained their independence and land base, they felt it was important to reach an accommodation with the Americans. They refused Tecumseh's requests for Indian unity in 1811, ignored a call for war from the Red Stick Creek in 1813, and then fought as American allies during the Creek War (1813-14). Eight hundred Cherokee under Major Ridge were with Jackson's army at Horseshoe Bend in 1814, and according one account, a Cherokee warrior saved Jackson's life during the battle. If Jackson was grateful, he never allowed it to show. At the Fort Jackson Treaty ending the war (1814), Jackson demanded huge land cessions from both the Cherokee and Creek. As allies, the Cherokee must have been stunned at this treatment, and reluctantly agreed only after a series of four treaties signed during 1816 and 1817. The Cherokee government afterwards became even more determined not to surrender any more land, but things were moving against them. In 1802 Cherokee land had been promised by the federal government to the state of Georgia which afterwards refused to recognize either the Cherokee Nation or its land claims. By 1822 Georgia was pressing Congress to end Cherokee title within its boundaries. $30,000 was eventually appropriated as payment but refused. Then bribery was attempted but exposed, and the Cherokee responded with a law prescribing death for anyone selling land to whites without permission. With the election of Jackson as president in 1828, the Cherokee were in serious trouble. Gold was discovered that year on Cherokee land in northern Georgia, and miners swarmed in. Indian removal to west of the Mississippi had been suggested as early as 1802 by Thomas Jefferson and recommended by James Monroe in his final address to Congress in 1825. With Jackson's full support, the Indian Removal Act was introduced in Congress in 1829. There it met serious opposition from Senators Daniel Webster and Henry Clay who were able to delay passage until 1830. (READ MORE about Andrew Jackson and this issue). Meanwhile, Jackson refused to enforce the treaties which protected the Cherokee homeland from encroachment. During the two years following his election, Georgia unilaterally extended its laws to Cherokee territory, dividing up Cherokee lands by lottery, and stripping the Cherokee of legal protection. Georgia citizens were free to kill, burn, and steal. With the only alternative a war which would result in annihilation, John Ross decided to fight for his people's rights in the United States courts. The Cherokee won both cases brought before the Supreme Court: Cherokee Nation vs Georgia (1831) and Worcester vs Georgia(1832), but the legal victories were useless. Jackson's answer: "Justice Marshall has made his decision. Let him enforce it." Without federal interference, Georgia and Tennessee began a reign of terror using arrest, murder and arson against the Cherokee. Ross was arrested, and the offices of the Cherokee Phoenix burned in May, 1834. The mansion of the wealthiest Cherokee, Joseph Vann, was confiscated by the Georgia militia, and the Moravian mission and school was converted into a militia headquarters. When Ross traveled to Washington to protest, Jackson refused to see him. Instead overtures were made to Major Ridge, his son John Ridge, and nephew Elias Boudinot (Buck Oowatie), editor of the Phoenix (Cherokee newspaper). The hopelessness of the situation finally convinced these men to sign the Treaty of New Echota (December, 1835) surrendering the Cherokee Nation's homeland in exchange for $5,000,000, seven million acres in Oklahoma, and an agreement to remove within two years. Known as the Treaty Party (Ridgites), only 350 of 17,000 Cherokee actually endorsed the agreement. Threatened by violence from their own people, they and 2,000 family members quickly gathered their property and left for Oklahoma. The treaty was clearly a fraud, and a petition of protest with 16,000 Cherokee signatures was dispatched to Washington to halt ratification. After violent debate, Jackson succeeded in pushing it through the Senate during May by the margin of a single vote. The Cherokee Nation was doomed. For the next two years, Ross tried every political and legal means to stop the removal, but failed. When the deadline arrived in May, 1838, 7,000 soldiers under General Winfield Scott (virtually the entire American Army) moved into the Cherokee homeland. The Cherokee found that their reward for 'taking the white man¹s road' was to be driven from their homes at gunpoint. It was the beginning of the Nunadautsun't or 'the trail where we cried.' History would call it the Trail of Tears. Forced to abandon most of their property, the Cherokee were herded into hastily-built stockades at Rattlesnake Springs near Chattanooga. Little thought had been given to these, and in the crowded and unsanitary conditions, measles, whooping cough and dysentery took a terrible toll throughout the summer. After most of the Cherokee had been collected, relocation by boat began in August, but drought had made Tennessee River unusable. At this point Cherokee desperation contributed to the disaster. Not wishing to remain until spring in the lethal conditions at Rattlesnake Springs, Ross petitioned the government to allow the Cherokee to manage their own removal. Permission was delayed until October. When it finally came, several large groups of Cherokee departed into the face of an approaching winter. They were marched west without adequate shelter, provisions, or food. The soldiers were under orders to move quickly and did little to protect them from whites who attacked and robbed the Cherokee of what little they had left. Two-thirds were trapped in southern Illinois by ice on the Mississippi and forced to remain for a month without shelter or supplies. As many as 4,000, including the wife of John Ross, died enroute. Many had to be left unburied beside the road. Some Cherokee avoided the removal. Under the provisions of the 1817 and 1819 treaties, 400 Qualia of Chief Yonaguska who lived in North Carolina were United States citizens and owned their land individually. Not members of the Cherokee Nation, they were not subject to removal and allowed to stay. Several hundred Cherokee escaped and hid in the mountains. The army used other Cherokee to hunt them. Tsali and two of his sons were captured and executed after they had killed a soldier trying to capture them. In 1842 the army gave up the effort, and the fugitive Cherokee were allowed to remain in an "unofficial" status. Formal recognition came in 1848 when Congress agreed to recognize the Eastern Cherokee provided North Carolina would do likewise. Currently there are more than 8,000 Eastern Cherokee who living in the mountains of western North Carolina. The Echota Cherokee Tribe in Alabama is another group descended from individual Cherokee landowners protected from removal by the 1817 and 1819 treaties. 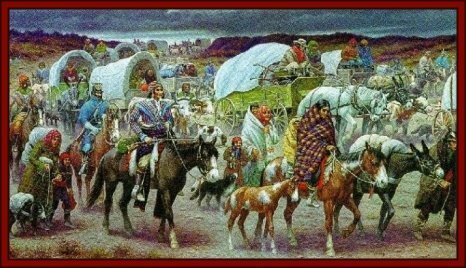 At the same time as the Trail of Tears, another group of Cherokee was being forcibly removed to Oklahoma ...from Texas. In 1807, after the Louisiana Purchase, the Spanish government was nervously watching the American expansion towards Texas and requested a number of tribes to resettle in eastern Texas as a buffer against the Americans. The first Cherokee settlement in the region was at Lost Prairie in 1819, and it received a land grant in 1822. After the successful revolt by the Texans in 1835, a treaty confirming the Cherokee title failed ratification in the Texas legislature during 1836 despite the strong support of President Sam Houston. White Texans pressed for the removal, and in July of 1839 three Texas regiments attacked the Cherokee of Chief Bowl and forced them across the Red River into Oklahoma. The irony of the Cherokee situation in Oklahoma in 1839 should not be lost. No matter what course chosen: war, accommodation, surrender, or flight; their fate had been the same. Of the Five Civilized Tribes, the Creek, Choctaw and Seminole received similar treatment during removal, although the Chickasaw had foreseen what was coming and prepared better. Following removal, all had major problems, but the Cherokee had the most bitter internal divisions. Gathered together for the first time in 50 years, the Cherokee in Oklahoma were ready for civil war during the spring of 1839. 6,000 Western Cherokee (Old Settlers) from Arkansas and Texas had been living there since 1828 and defending themselves from the Osage, Kiowa, Wichita, and Comanche. They had maintained their traditional government of three chiefs without written laws. Suddenly 14,000 Eastern Cherokee (New Settlers) arrived in their midst with an elaborate government, court system, and a written constitution, but the newcomers were bitterly divided between 2,000 Ridgites (Treaty Party) and 12,000 Rossites who had just lost 4,000 of their people on the Trail of Tears. Violence was not long in coming. On June 22, Major Ridge, John Ridge, and Elias Boudinot were murdered. 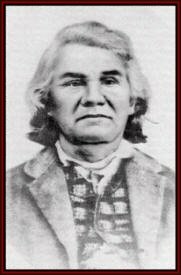 Stand Watie, Boudinot's brother and Major Ridge's nephew, was the only leader of the Treaty Party to escape. The assassinations effectively silenced the Treaty Party, but the hatreds endured. This left only two contending groups: west and east. The Western Cherokee refused to accept any of the new changes, while the more numerous Eastern Cherokee considered themselves superior and would not compromise. The first meeting of these factions failed to reach agreement. At a second meeting, Ross could only obtain the signature of one western chief but proceeded anyway to organize a government. However, the majority of the western Cherokee and the Treaty Party refused to recognize it. For the next six years there was civil war over borders and jurisdiction. The situation became so bad that Congress proposed dividing the Cherokee into two tribes. This was incentive enough for the Cherokee to set aside their differences and unite under the Cherokee Nation, an accomplishment recognized by treaty with the United States in 1846. The wounds from removal and reunification never healed completely, but the Cherokee adjusted well enough to enjoy what they consider to have been their golden age during the 1850s. On the eve of the Civil War in 1861, the Cherokee Nation was controlled by a wealthy, mixed-blood minority which owned black slaves and favored the South. The vast majority of the Cherokee did not have slaves, lived simple lives and could have cared less about the white man's war, especially the Old Settlers. John Ross leaned towards the South, but mindful of the divisions within the Cherokee, refused the early offers by Albert Pike to join the Confederacy. When Union soldiers withdrew during the summer of 1861, the Confederate army occupied the Indian Territory. 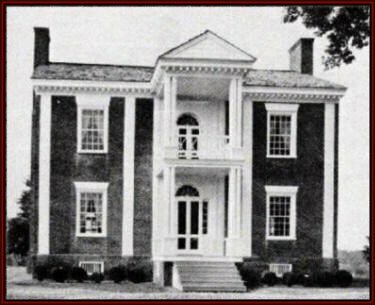 The Cherokee Nation voted to secede from the United States in August, 1861, and a formal treaty was signed at the Park Hill home of John Ross between the Cherokee Nation and the new Confederate government. Four years later, this agreement was to cost them very dearly. Americans are usually surprised to learn that the Civil War was bitterly contested between the Native Americans in Oklahoma. For the Cherokee, it was very much a war of brother against brother. 3,000 Cherokee (usually New Settlers) enlisted in the Confederate army while 1,000(Old Settlers) fought for the Union. In the East four hundred North Carolina Cherokee, virtually every able bodied man, served the South. Cherokee Civil War Units included: First Cherokee Mounted Rifles (First Arkansas Cherokee); First Cherokee Mounted Volunteer (Watie's Regiment, Cherokee Mounted Volunteers); Second Regiment, Cherokee Mounted Rifles, Arkansas; First Regiment, Cherokee Mounted Riflemen; First Squadron, Cherokee Mounted Volunteers (Holt's Squadron); Second Cherokee Mounted Volunteers (Second Regiment,Cherokee Mounted Rifles or Riflemen); and Cherokee Regiment(Special Service). Cherokee units fought at Wilson Creek (1861) and Pea Ridge (1862). There were few large battles in Oklahoma, but these were brutal. In November 1861, a combined force of 1,400 Cherokee, Chickasaw, Choctaw, and Texas cavalry commanded by Colonel Douglas Cooper attacked a refugee column of 4,000 pro-Union Creek trying to reach safety in Kansas. Over 700 refugees were killed during the three day battle before reason took hold. After two assaults against the Creek, the Cherokee refused to participate in a third and withdrew. Meanwhile the Cherokee allegiance to the Confederacy faltered. Following the Confederate defeat at Pea Ridge, John Ross switched sides to the Union. Actually Ross allowed himself to be captured in 1862 and spent the rest of the war in Philadelphia. John Drew's Mounted Rifle regiment also deserted and was reorganized as a regiment in the Union army, but other Cherokee units under Stand Watie remained loyal to the Confederacy. The fighting in Oklahoma degenerated into the same vicious guerilla warfare that prevailed among the white settlers of Kansas and Missouri. Stand Watie, who became a Confederate general, was a leader of the Treaty Party and personally hated John Ross. After Ross switched in 1862 and went east, Stand Watie was elected principal chief of the Cherokee Nation in August. He captured the Cherokee capital at Tahlequah and ordered Ross' home burned. The fighting produced hatreds that, added to the earlier differences, endured long after the war was over. Many Oklahoma Indians fled north to escape the fighting. Kansas eventually had more than 7,000 refugees from the Indian Territory which it could not house or feed. Many froze to death or starved. Heavily involved in the fighting throughout the war, the Cherokee Nation lost more than 1/3 of its population. No state, north or south, even came close to this. On June 23, 1865, Stand Watie was the last Confederate general to surrender his command to the United States. 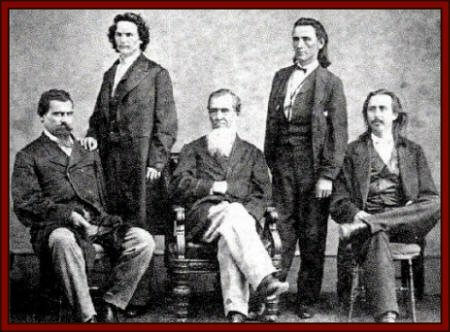 The Southern Cherokee delegation to Washington in 1866 was sent to negotiate a new treaty with the United States at the end of the American Civil War. Afterwards, the victorious federal government remembered the services of General Stand Watie to the Confederacy. It also remembered the 1861 vote by the Cherokee legislature to secede from the United States. These provided the excuse to invalidate all previous treaties between the Cherokee and United States. John Ross died in 1866, and in new treaties imposed in 1866 and 1868, large sections of Cherokee lands were taken for railroad construction, white settlement (1889), or the relocation of other tribes. The Cherokee Nation never recovered to the prosperity it had enjoyed before the Civil War. As railroads were built across Cherokee lands, outlaws discovered that the Indian territory, especially the Cherokee Nation, was a sanctuary from federal and state laws. Impoverished by the war, the Cherokee also began to lease lands to white tenant farmers. By 1880, whites outnumbered the Indians in the Indian Territory. In 1885 a well-intentioned, but ill-informed, Senator Henry Dawes of Massachusetts decided that holding of land in common was delaying the progress of Indians towards "civilization." Forming an alliance with western Congressmen who wish to exploit Indian treaty lands, he secured passage of the General Allotment(Dawes) Act in 1887 which ultimately cost Native Americans 2/3 of their remaining land base. The Five Civilized Tribes of Oklahoma were exempt from allotment, but came under tremendous pressure to accept it. Until the 1880s, cattle from the Chisholm and Texas trails routinely grazed on the lands of the Cherokee Outlet before going to the Kansas railheads. The Cherokee earned a good income from this enterprise until it was halted without explanation by the Commissioner of Indian Affairs in 1890. It should also be noted that the Oklahoma Territory was organized that same year from the western half of the Indian Territory, and there may have been some connection! After the Cherokee were forced to sell, the land was made available for white settlement. The Dawes commission attempted to get the Five Tribes to accept allotment in 1893, but they refused. This led to the passage of the Curtis Act (1895) which dissolved tribal governments and forced allotment during 1901. Grafting(swindles) of Indian lands became a massive and unofficially sanctioned form of theft in Oklahoma. Of the original seven million acres granted the Cherokee in the New Echota Treaty, the Cherokee Nation kept less than 1/3 of 1 percent. As compensation, the Cherokee became citizens in 1901 and were finally allowed to vote. An attempt by the Five Tribes to form their own state of Sequoyah in eastern Oklahoma failed in 1905, and the Cherokee Nation was officially dissolved on March 3, 1906. 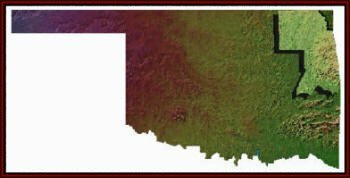 The following year Oklahoma was admitted as the 46th state. The present government of the Cherokee Nation was formed in 1948 after passage of the Wheeler-Howard Indian Reorganization Act (1934). In 1961 the Cherokee Nation was awarded $15,000,000 by the U.S. Claims Commission for lands of the Cherokee Outlet.